In Las Vegas, it is common to see sunny days with jaw dropping temperatures over 100° F during the summer. This is very harmful for your car’s tint job overtime causing it to distort. 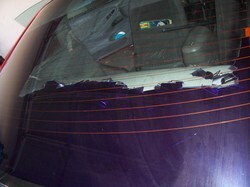 Here at Capital Tint & Customs, we believe window tint removal in Las Vegas should be included for no extra charge. We believe in going the extra step for our clients! However, window tint removal can range from being completely FREE all the way up to $125.00 depending on the vehicle and time it takes to remove all of the old film and glue. Every car is different and has a lot of various factors in play that can change the current condition of the car’s tint (exposure to the sun, length of time since the last tint job, etc). A window tint removal Las Vegas job can become a lengthy process and in general should be left in the hand of tinting professionals with many years of experience; moreover, we are ready to help remove the old tint job on your car. 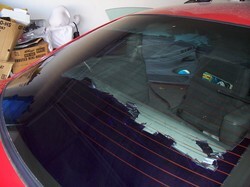 We can also do residential and commercial window tint removal in Las Vegas for any customers who are interested. Our team here at Capital Tint & Customs is trained to safely remove old window film with no damage to the vehicles glass. However, if the old tint does not come off in a whole sheet on the rear window, there is a chance the rear window defrosters and antennas might be damaged. It is important to have old tint removed as soon as possible to prevent any damage to your car! During the years we have been open, we have seen many customers cause permanent damage to their car’s defrosters and antennas leaving them no choice but to replace them. If this is the case for your car, you can rely on Capital Mobile Tint & Customs to help explain the whole process of getting everything replaced and giving you the right information to help keep you cool and your car safe. If you are not sure if your car’s tint job has caused damage to your car, feel free to give us a call so we can diagnose any issues. After we take care of your removing your old window tint, we recommend considering a new auto tint to help you stay cool in your car during hot summer days. Copyright © 2019 Capital Mobile Tint & Customs All rights reserved. Powered by Vertex Visibility.